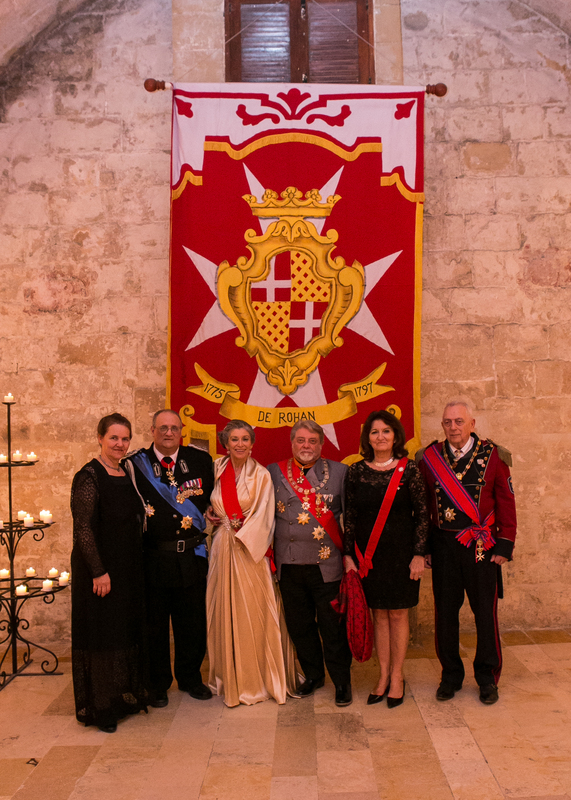 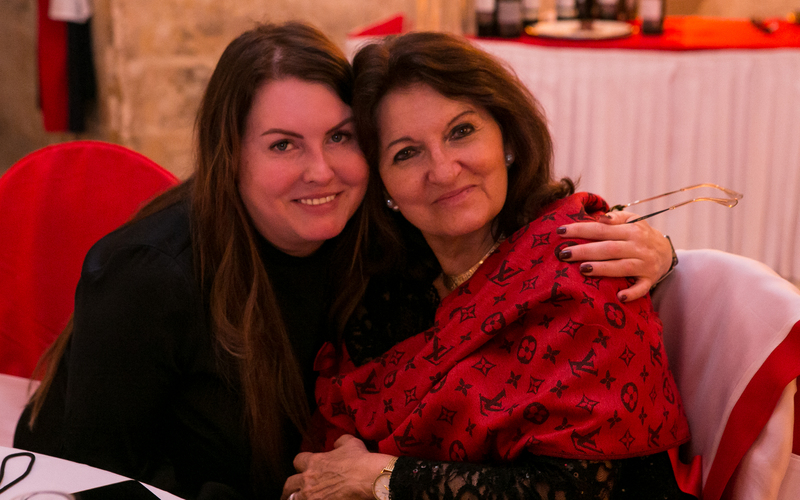 According to the traditions – following the solemn investiture of the Knights of Saint John (Knights of Malta) and the Knights of the Sovereign Order of Cyprus held on the 3rd November 2018 at the extraordinary La Valette Hall of the Mediterranean Conference Centre (MCC), the former Sacra Infermeria in Valletta (Malta) – the participants representing 35 countries from 4 continents proceeded to the Gala Banquet. 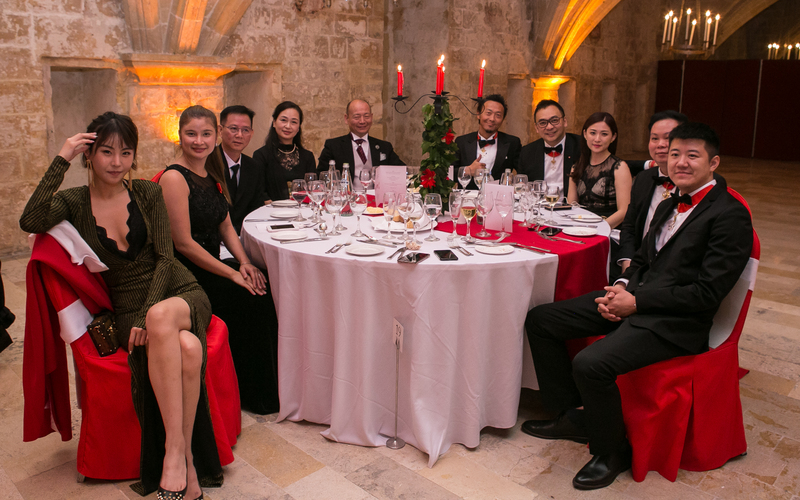 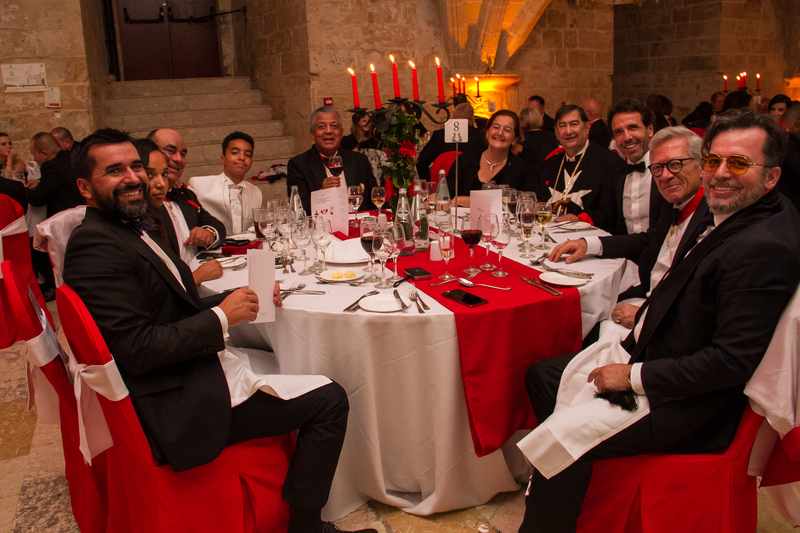 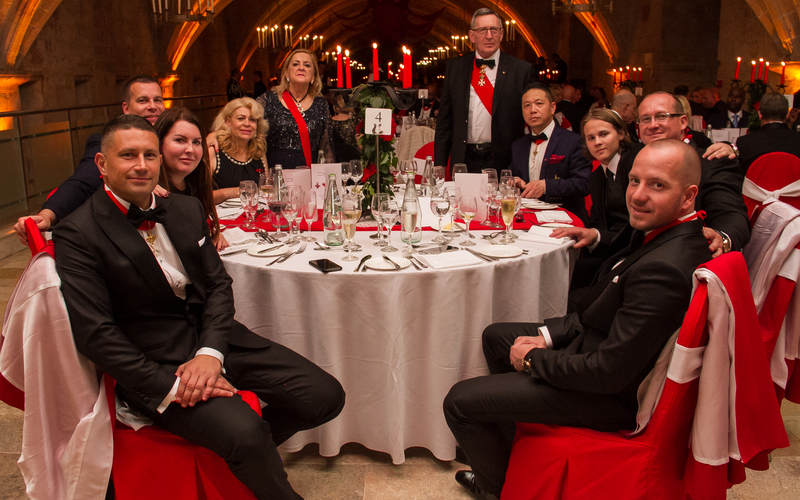 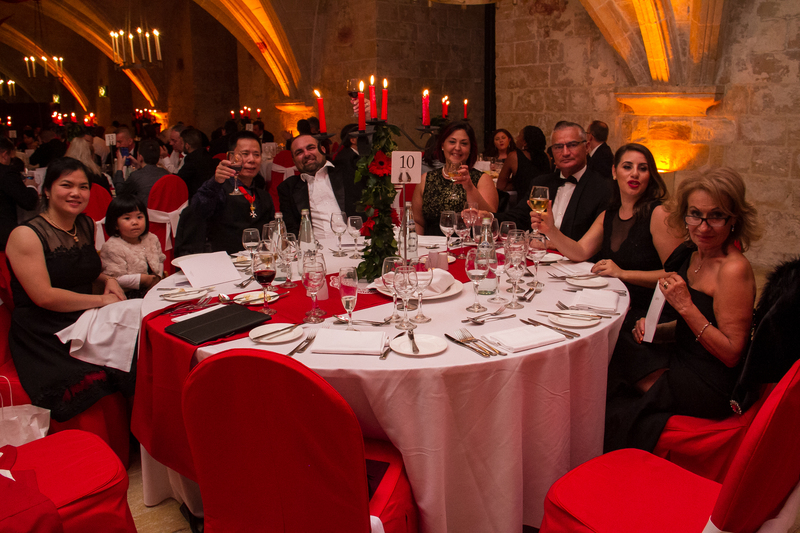 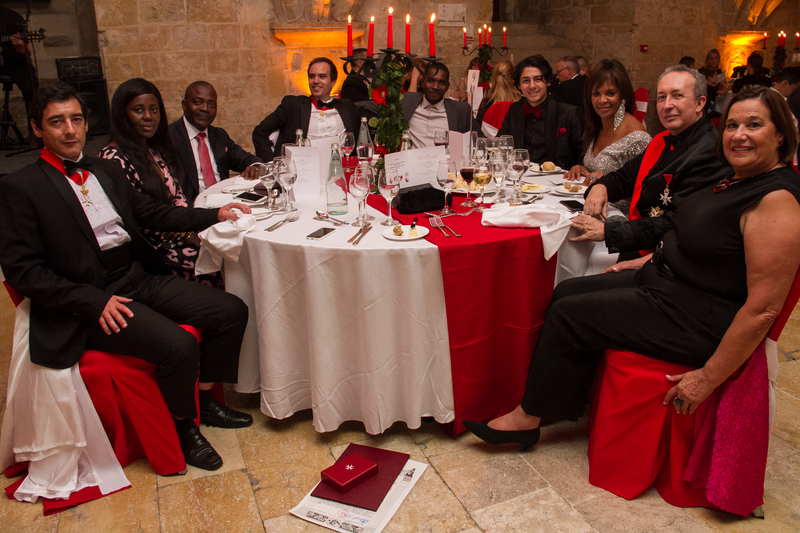 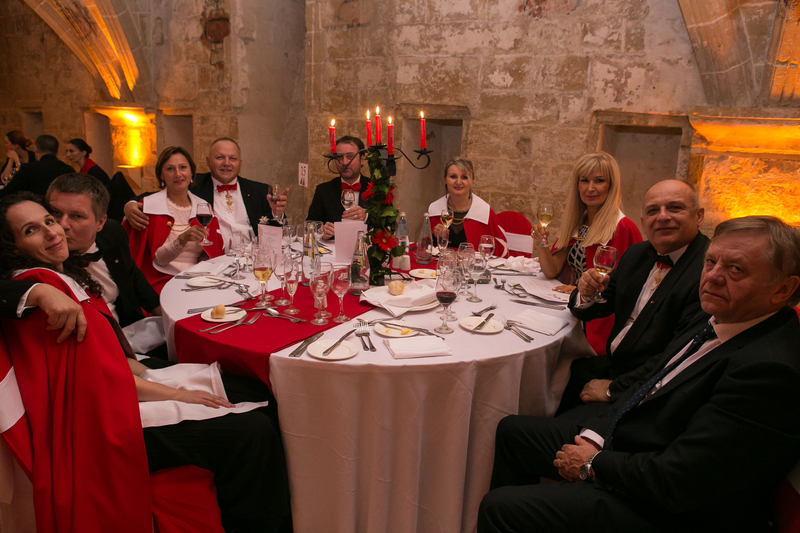 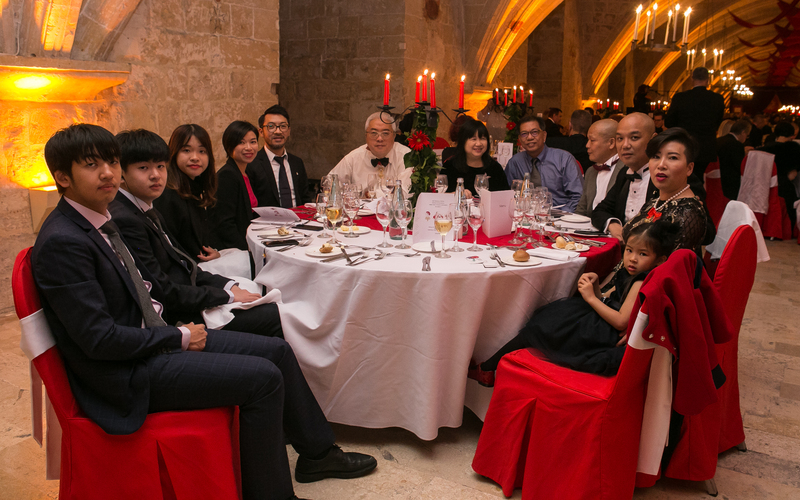 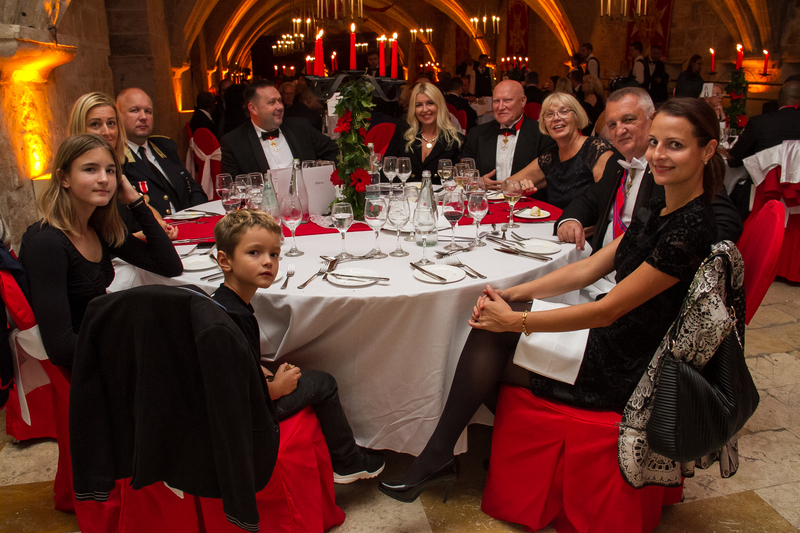 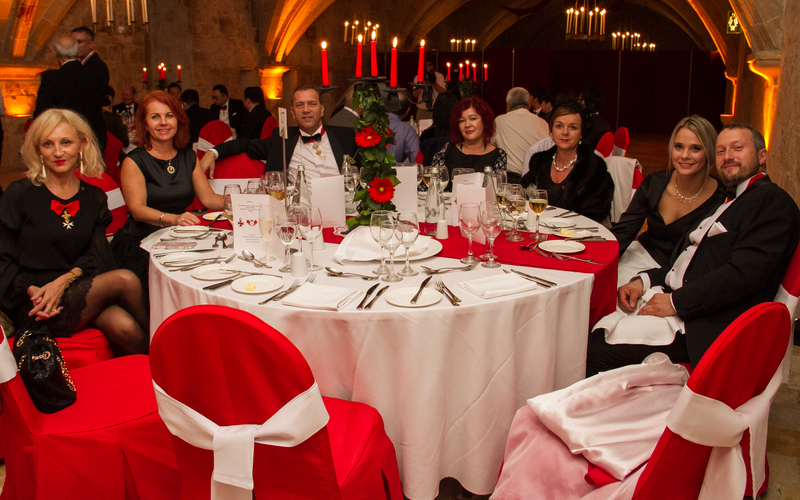 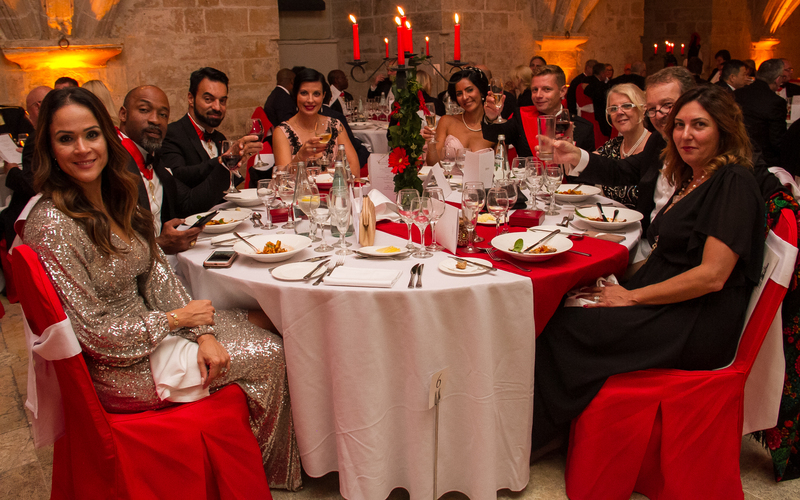 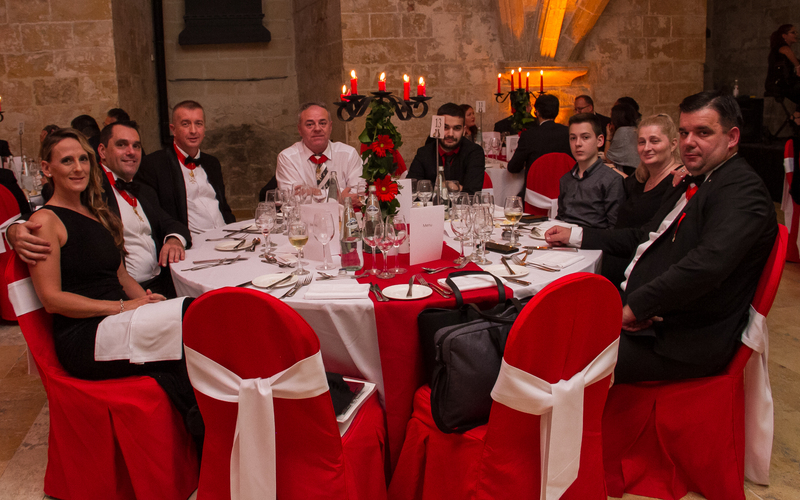 The beautifully decorated 155 meter long La Valette Hall was the venue of the common dinner of the attendees, sitting at the round tables dressed in red and white colours, symbolising our Order. 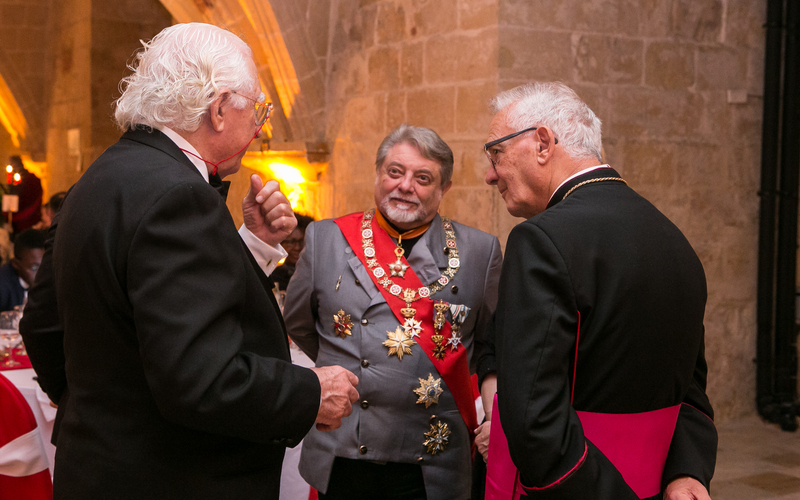 The evening was filled with a friendly and joyful atmosphere with guitar music by Maltese artists, Mario Camilleri's Duo. 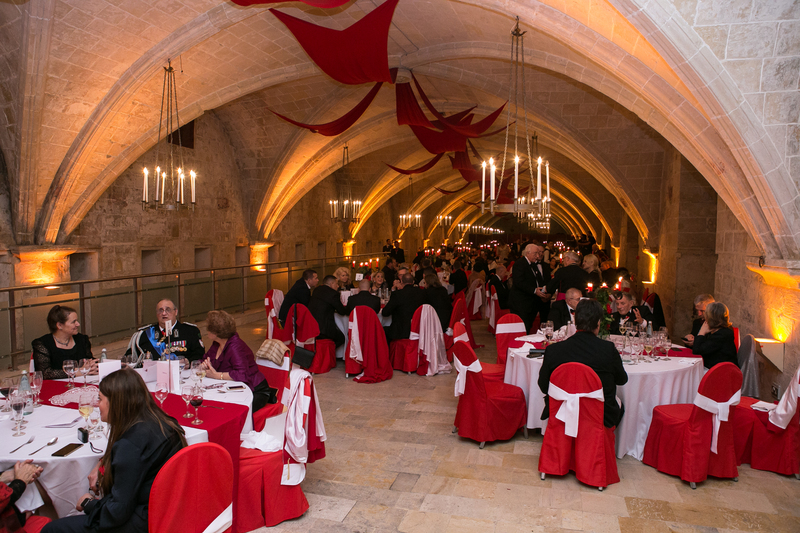 The guests had the exclusive opportunity to visit the museum, located at the lower level of Sacra Infermeria, which remained open during the whole evening. 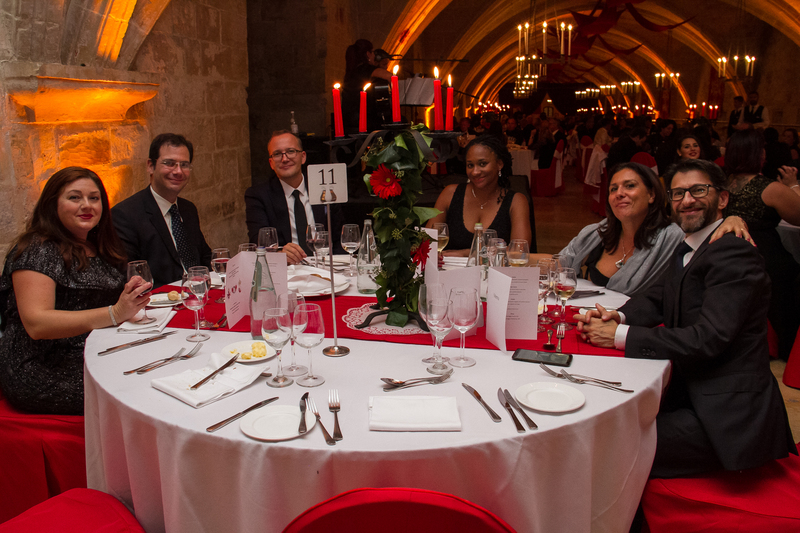 The hospital started to be built by the knights of Saint John in1574. 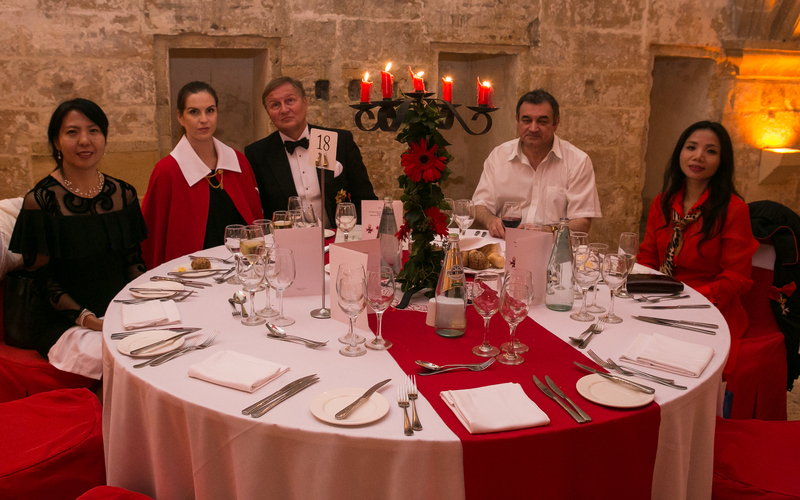 It became famous all over Europe and was considered as the most modern hospital at that time. 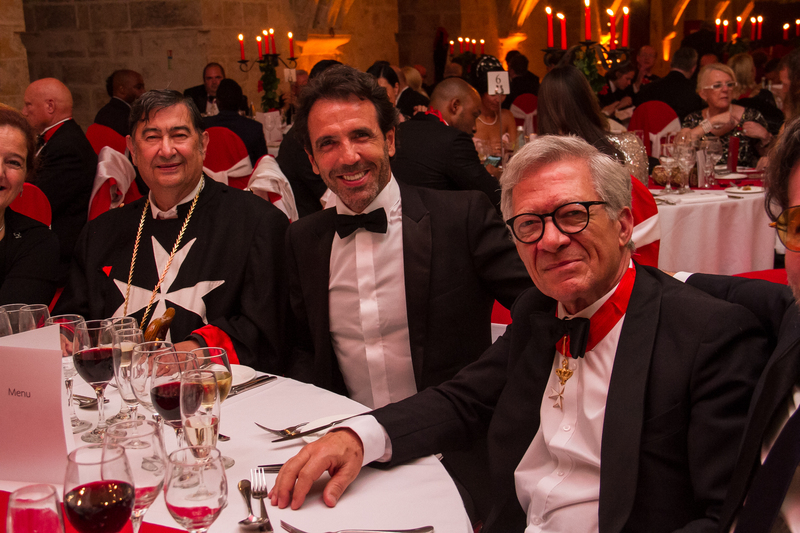 Sacra Infermeria could receive more than 900 patients, irrespective of their nationality, who were all treated and cured by the very professional medical staff composed of the knights and nurses working for the hospital. 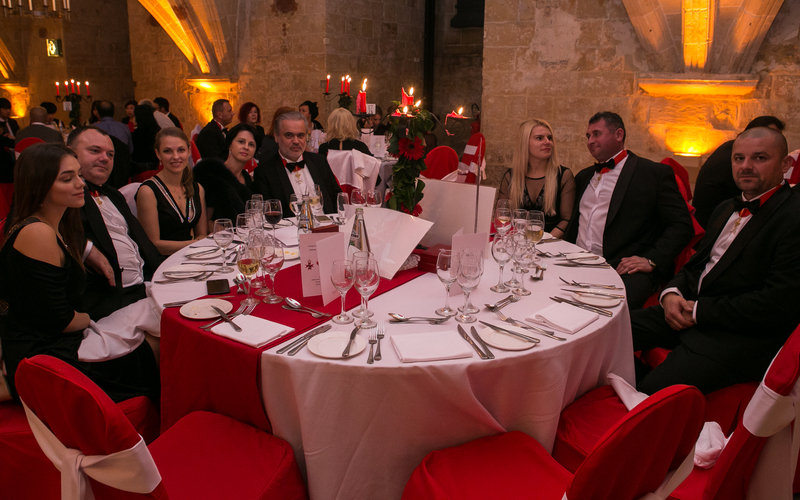 The exhibition displays the comprehensive history of the former hospital and the medical methods practiced by the doctors. 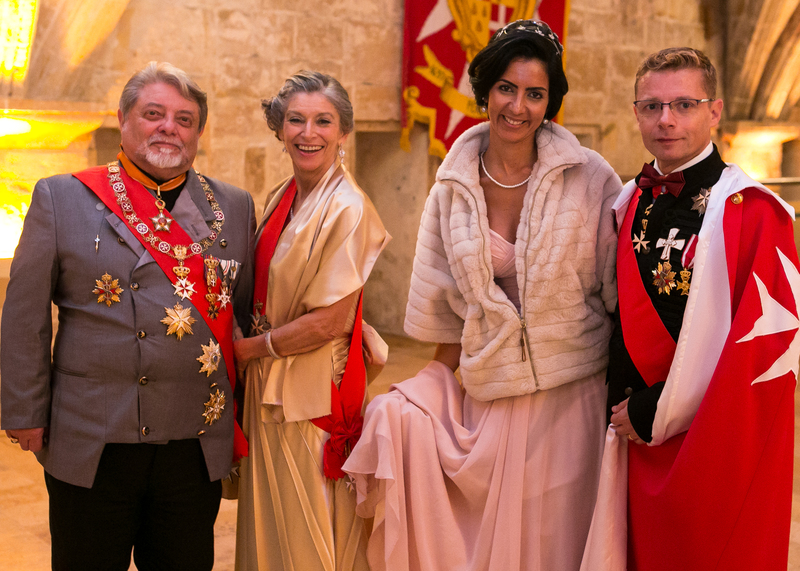 The visit of this unique museum belonging to the Malta Heritage gave a true image about the main activity of the Order of Saint John of Jerusalem, the hospital work – taking care of the ill and the needy – which was the leading objective at the time of its establishment, in 1048. 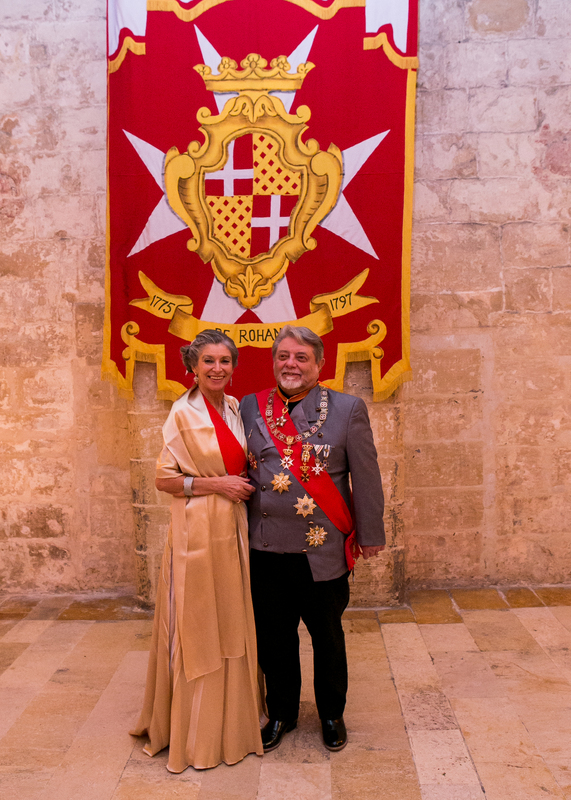 In 2018, we commemorated the 970th anniversary of the existence of the Order of Saint John of Jerusalem. 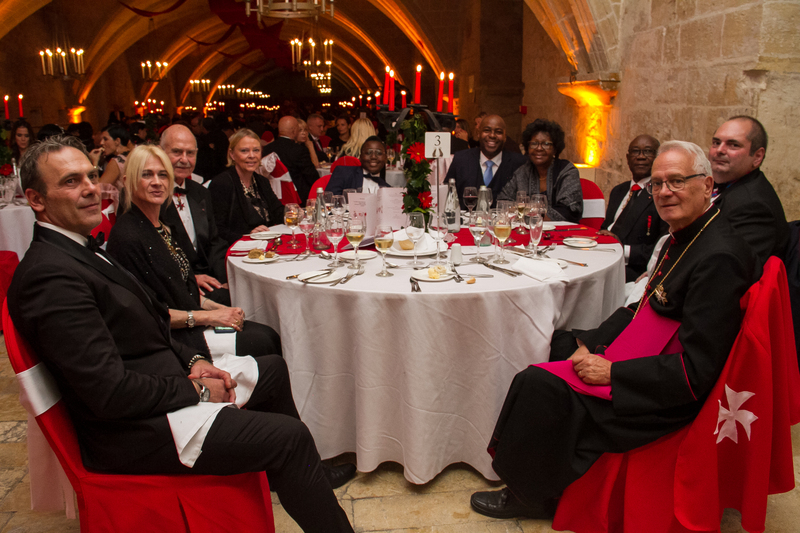 As humble successors of the founders of the Orders – living and working in every corner of our planet – we are very proud of our great predecessors and their achievements and continue to uphold their noble ideas and values to make a difference by our deeds in favour of the needy.